« Got an RX8? Replace your coils! 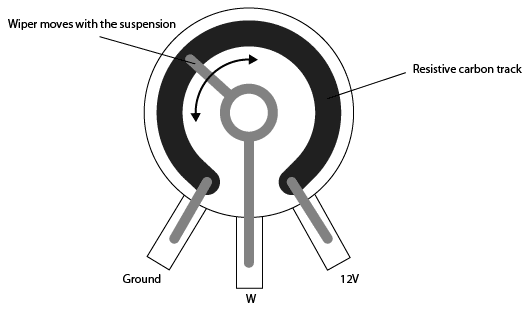 1/4 or even 1/8 Watt resistors should be fine for this as the current is pretty low. If we look at the chain with the lowest resistance (and therefore highest current), R1 + R2. I am a sole Trader Garage. I built and fitted your H/Lamp adjuster circuit and fitted it to a customers Vehicle, as he could not afford to replace the Actuators which upon opening up, were totaly shot. Upon operating the lights the Vehicle burst into Flames and Burnt Down My Garage. Only Joking; the unit worked superbly and the owner was well pleased & I made some Money which is a result in these hard times. I you would like to let me know what your Favourite Charity is I will Donate a small amount as a token of my appreciation. Good job Carl. One thing you might want to point out to your customer is that the headlights can only be adjusted when the vehicle is stationary, makes sense really. If you’d like to make a donation to a charity then Diabetes UK would be my charity of choice. Glad I could be of some help to you. Will do as regards Charity. Also if anyone else makes up this Circuit its worth pointing out that there is a slight time delay of a few seconds when moving the potentiometer and the H/Lamp movement and that the adjustment is quite sensitive so turn a very small amount until you get the “feel”. I point this out just in case there is a risk, that the adjuster Mechanism may get to the end of its working limit and break something in the w Headlamps as is the case with some vehicles ie, the adjustment Gears strip or Internal reflector comes adrift. 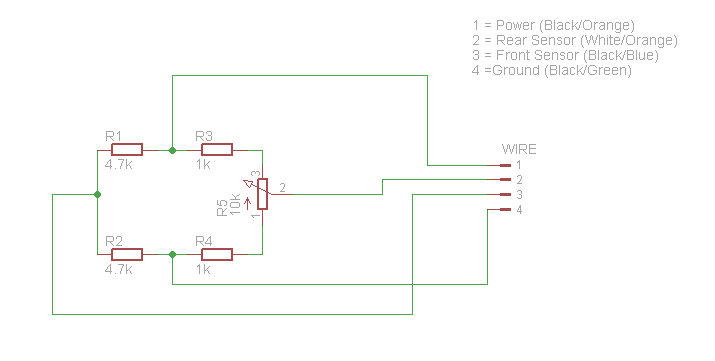 Also if anyone else makes up this Circuit its worth pointing out that there is a slight time delay of a few seconds when moving the potentiometer and the H/Lamp movement and that the adjustment is quite sensitive so turn a very small amount until you get the “feel”. I point this out, just in case there is a risk, that the adjuster Mechanism may get to the end of its working limit and break something in the Headlamps as is the case with some vehicles ie, the adjustment Gears strip or Internal reflector comes adrift. This is just brilliant. Thank you so much. I’ve been arguing with Mazda, writing letters to the CEO etc. about having to pay a fortune back to Mazda to fix a problem which is clearly a design fault. All to no avail, so I’ve been driving round dazzling people and with an intermittent (why is it only intermittent!) warning light on the dash board. This solution cost me about £10 in components and only took about an hour today (mostly reminding myself how to solder components onto a PCB!). Brilliantly clear instructions and IT WORKS! One little suggestion. I was trying to figure out where best to fit the potentiometer – even your suggestion of the ash tray sounded like a fair bit of fiddling around. So I went for a lazier approach. If you open the glove box there is a switch on the left hand side to disable the boot opener. I discovered that there is enough space just above this to mount the pot and still allow the glove box to close. Given that it’s not something I will be adjusting much (once I have set it correctly) this seemed like a pretty handy place to tuck it away, with less chance of it getting accidentally knocked. Alex…You’re the man of the day. Thanks to you, I’m happy again. You did a great job posting this solution. Under 15$ and 2 hours work, instead at least 500$. Maby someday someone from Mazda will call you for a great job offer. Or you will get some benefits from them if you’ll keep your ideas for yourself. what an elegantly simple and ingenious solution! Brilliant! I’m making a run to my local radio-shack to pick up the components and give it a try. I’m curious, how did you figure out the required resistance for the various resistors used? Thanks so much for posting this solution and such detailed instructions to go along with it. Diabetes UK will be getting another modest donation! I’m just about to try this, has anyone tried finding the end of the wiring loom behind the blank switch next to the DSC? It appears to fit a mazda headlight level switch. Has anyone tried a ‘plug & play’ version using parts from a 192 RX8? Thanks for writing this solution up. I fitted it last week and it worked perfectly!